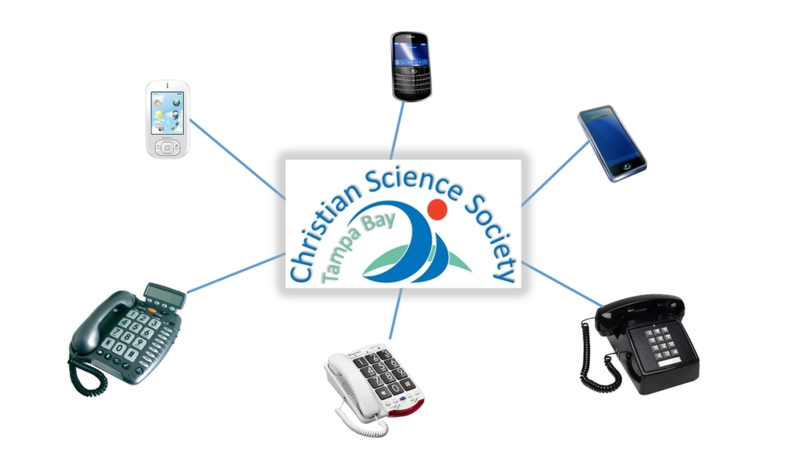 The Christian Science Society - Tampa Bay gratefully accepts donations, which are fully tax-deductible as allowed by law. We are a 501(c)(3) not-for-profit religious organization that relies solely on donations. Our Sunday church service has a time for a voluntary offering. Receipts for tax records for donations using any method are available from our Treasurer upon request. The Sunday service and Sunday School begin at 10:30 AM, and the Wednesday testimonial meeting begins at 7:30 PM. Care for young children is lovingly provided at all church services. Our informal church services and Sunday School are held at the Girl Scouts of West Central Florida Leadership Center, centrally located near the Tampa International Airport. This location is convenient to all Tampa Bay communities, including Tampa, Clearwater, St. Petersburg, Pinellas Park, Temple Terrace, Town 'N' Country, Brandon and more. Directions: From Veterans Expressway southbound (Hwy 589), exit and cross over Hillsborough Ave (Hwy 580) then continue on the feeder street (Eisenhower Blvd) for 1/2 mile to Chelsea Street. From Veterans Expressway northbound (Hwy 589), exit Hillsborough Ave (Hwy 580) and make a U turn at Hillsborough then continue on the feeder street (Eisenhower Blvd) for 1/2 mile to Chelsea Street. In 2004, a small group of dedicated Christian Scientists felt impelled to reach out to others in a more inclusive way. Years of tradition had restricted our vision of the unlimited opportunities to bless our community. We believed that more effective ways could be found to be a part of the community and respond to its needs more fully. While following all the requirements of a branch church of the Mother Church, and moving into the Girl Scout Center, we have been able to focus our efforts on the spiritual mission of the church, which is to heal and bless all mankind. Our informal setting has contributed toward creating a greater sense of love and connection with each other. ASCSA is a not for profit, all volunteer organization whose purpose is to provide opportunities for active, single Christian Scientists to meet each other and enjoy fun-filled weeks/weekends of camaraderie, sports, and entertainment. ASCSA programs are primarily designed for those who enjoy vigorous athletic activities. ASCSA events are open to all adult unmarried students of Christian Science. No smoking, drinking, or drugs will be allowed. Participants do not need to be members of The Mother Church. To encourage and support the healing practice of its members and to respond to the spiritual demands of our community, especially in distributing the works of Mary Baker Eddy. This Society loyally supports the Christian Science Board of Directors and operates in consonance with The Manual of The Mother Church. Our group has basic Bylaws that guide our church operations and membership. The Bylaws are open to the public and can be downloaded here. Here is the application form for joining as a member of our group. You may bring the completed application to a church service, or send it using postal mail or e-mail. 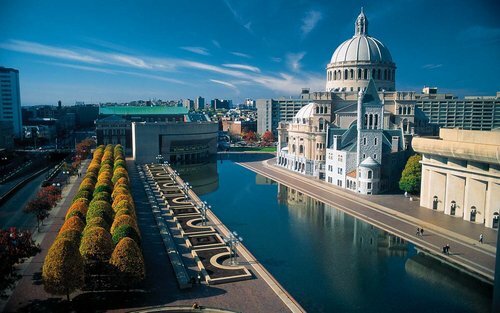 The Christian Science Society - Tampa Bay is a branch of The Mother Church, the First Church of Christ, Scientists in Boston, Massachusetts. The Mother Church has branch churches and societies around the world. The branches are democratically governed by their own members under branch bylaws written by those members. They are also governed by the Bylaws given in the Church Manual. All branch churches have Sunday services, Wednesday testimonial meetings, Sunday Schools, and Reading Rooms, and they host public talks on Christian Science. "Ye shall know the Truth and the Truth shall make you free."